I look a lot for signs from our boys- evidence they’re checking in, wanting to be in our lives as much as we want to be in theirs. Proof that they’re okay. As I’ve said before seeing things in threes helps a little. I like seeing it anyhow. Feels like a connection. I haven’t had many moments over the last months where I felt I was truly being visited by them or that they were intentionally breaking through the veil to say hello. The only one I feel sure about happened 3 months from the day they died, September 4th, 2011. Our friend Jon was visiting from North Carolina to be with us in our time of deep sadness. Such a kindness. 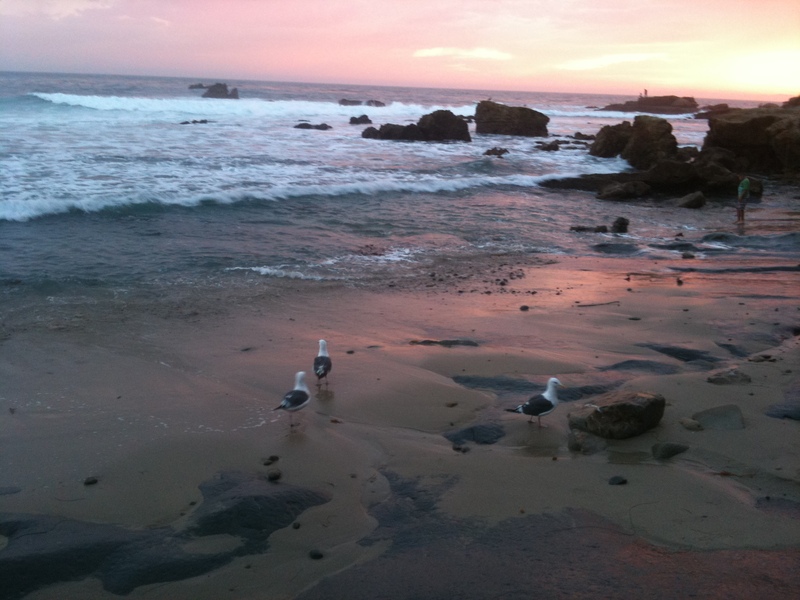 We went to Laguna Beach to spend some time and take some gorgeous photos just before sunset. I was walking along the rocky beach and 3 seagulls landed right near me. As they walked around they kept their eyes on me, checking in with each other, then back to me. I felt so positive in that moment our boys were saying hello, checking in on their mama. I felt very loved that they cared enough to come to me and offer the comfort of their presence, if only for a few minutes. It was a perfect moment; brief like their lives. We seem to only get these little snippets, my boys and me. Some day though, we’ll have it all. 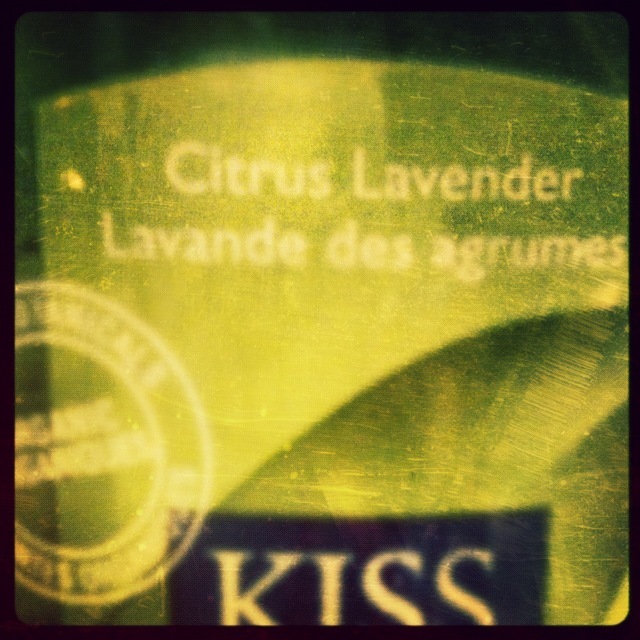 Kiss My Face’s Citrus Lavender lotion is the scent of my pregnancy. I remember carefully choosing it in Whole Foods, reading the label, making sure it was organic and had only essential oils, nothing chemically. I tried so hard to make sure everything that touched my skin was as natural as possible to ensure a healthy environment for the babes. I also needed a scent that didn’t make me want to throw up, which was very limiting. A couple of months ago I put this on again, not thinking about the last time being when I was pregnant. Instantly I was brought back. I saw myself rubbing it on my stomach, huge and stretched taut. Lavender and limes and talking to the fellas. I haven’t used it since. There are too many people to name, too much love to comprehend. 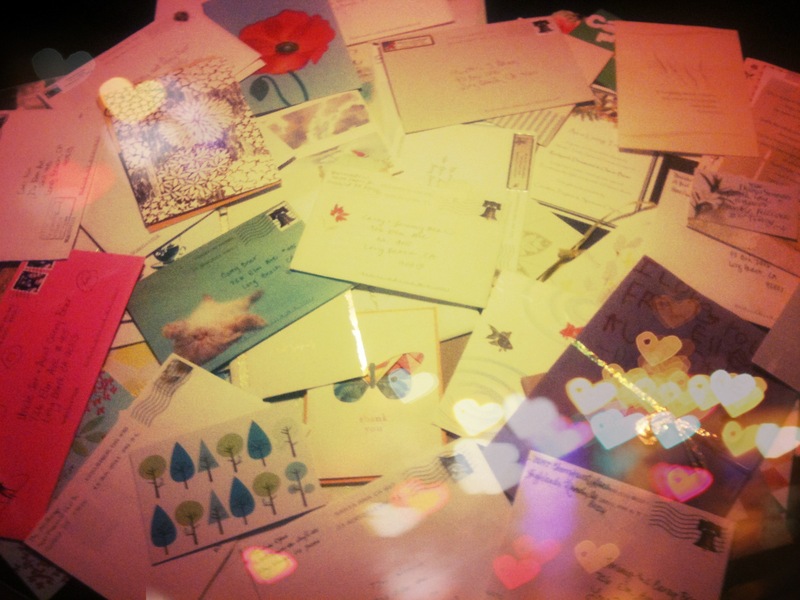 If you’ve ever sent a card or letter we still have it. Every piece of mail- including those little cards attached to flower arrangements- is kept and treasured. Not to mention every email too; it’s all priceless. Your words of support and encouragement are what got us through the darkest hours and continue to light our way. 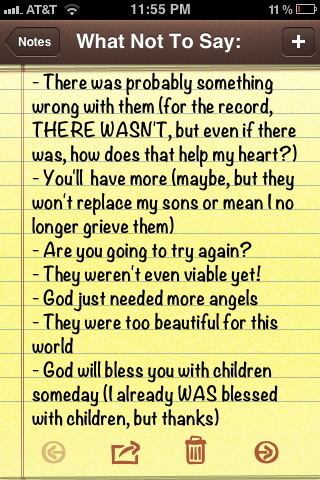 You didn’t just love us, you loved our boys. That means more than anything. Thank you. I guess a fairly obvious symbol I relate to our boys is the number 3, and anything in threes really. I seem to notice things in threes all the time and it brings me a little relief when I do. Relief and I guess a certain yearning too. I miss them. I miss my three. Sunflowers are another symbol I associate with our boys. I’ve mentioned on here before that I keep 3 sunflowers, each in their own small vase (the same vases used at their memorial service), on our table at all times. Each week I clean the vases, pouring the little blue gems from the bottom of the vases into a mesh strainer to swish them around with a drop of soap. 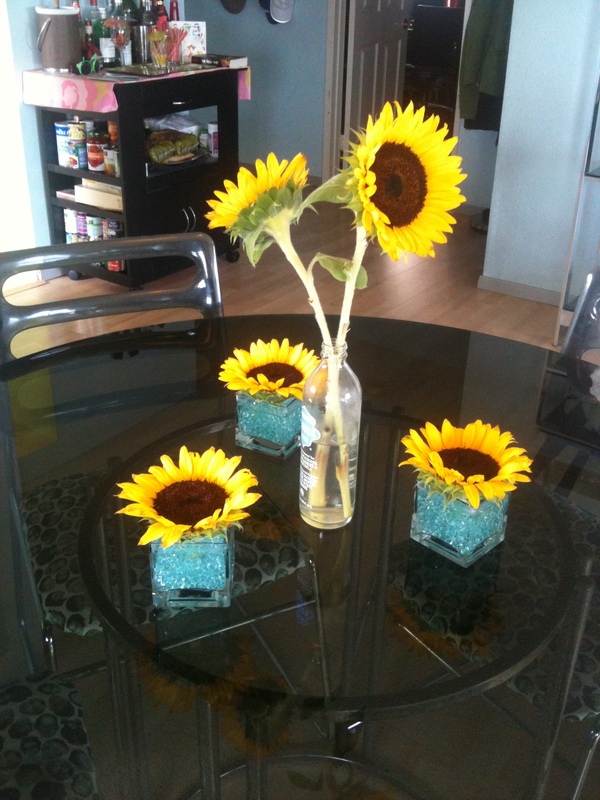 Preparing the vases and sunflowers has become an act of meditation for me. Almost every time I bring the flowers home it’s with my groceries for the week. I’m usually tired and busy trying to get all the groceries put away and when I’m done all I want to do is sit down for a bit but there are flowers that need my attention. It often feels like a chore at this point, but as soon as I pick up those vases and begin to clean them the world fades away and my mind is on Rud, Des, and Oz. By the time I’m swishing the hard plastic gems life has slowed to that moment. My mind is present. I remind myself what a gift it is to have that moment, to care for my boys’ memory in a tangible way. For Jer and me, the beach-in particular Long Beach-is a special place that reminds us of our boys. The top part of the triptych is where we had our reception after the boys’ memorial- by all of the palm trees to the right. We chose it because it was on that stretch of the beach path that Jer was thinking about how his life could potentially change when he got home from his run, knowing I was taking a pregnancy test while he was out. And, well, as you know, change doesn’t even begin to describe the turns our life has taken since that day. 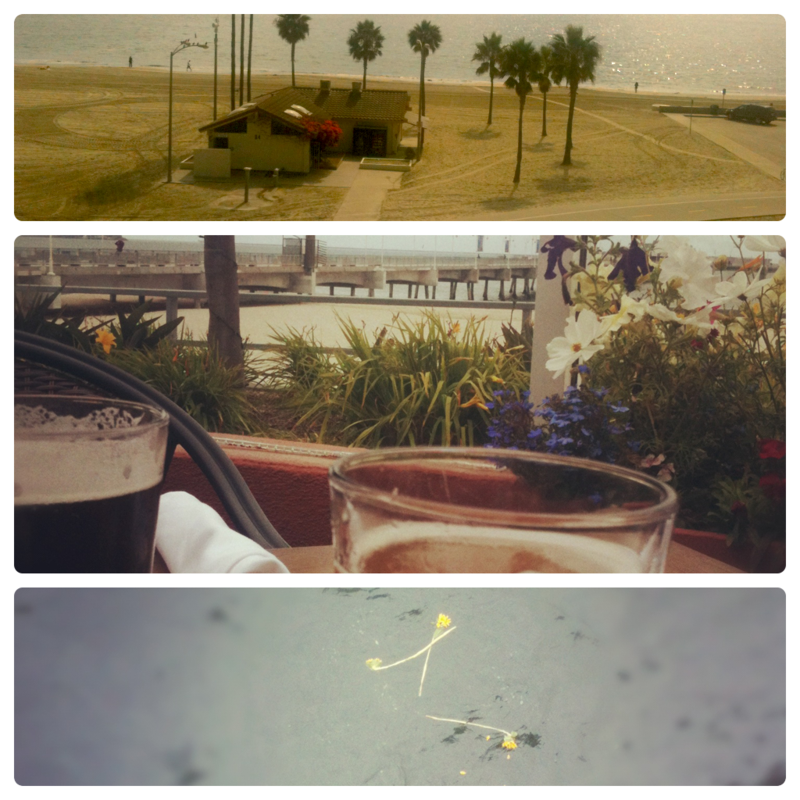 The second picture is of lunch at a restaurant by the beach that Jer and I went to on the boys’ first birthday. We went there a couple of days after we came home from the hospital too, our first venture out of the house. The view is beautiful and so peaceful. I remember thinking on that first outing how odd it was that the sun was shining perfectly and everything looked especially gorgeous. I felt so strange sitting there, like some kind of imposter, everyone thinking I was enjoying that beautiful day right along with them. The third picture is also from the boys’ first birthday. After lunch we went out on the pier and Jeremy read If by Rudyard Kipling, and we dropped 3 sunflowers into the ocean. I have been blessed with so many thoughtful people in my life. 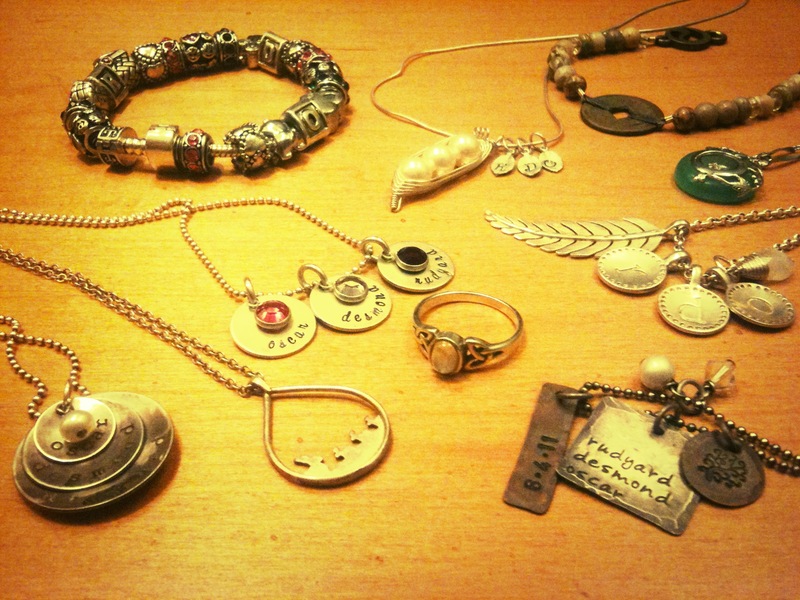 Each of these pieces was given to me in honor and remembrance of Rudyard, Desmond, and Oscar. They are so special to me and I love them all. I’m usually wearing one or more at a time! 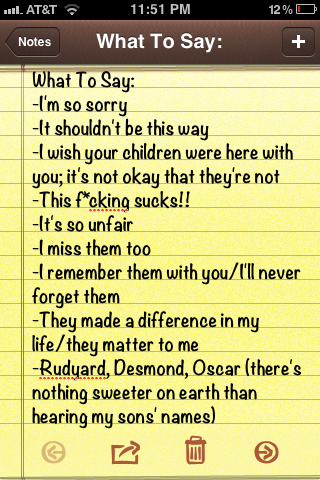 Since I’m a little behind, I’m combining days 6 and 7- what not to say and what to say to someone who’s grieving the loss of a child. I thought about opting out of these because I don’t want to make anyone feel bad or even more worried about saying the wrong thing around me or someone else they know is grieving. 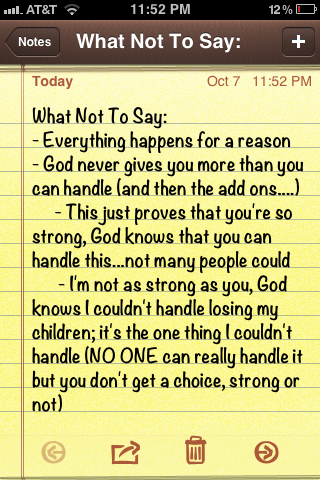 I’m trying to see this through though and be honest. Jer and I have said from the beginning that we’ve been really lucky overall with people’s responses to us during the last 15 months. We’ve also been committed to taking (almost) everything people say in the most positive way possible. We know people are just doing their best, trying to come up with something to comfort us in this terrible mess, and for that we’re truly thankful. That being said, here are some of the things I wish I hadn’t heard this last year and some of the things I’ve appreciated more than I can say.